While reminiscing the brilliance of FC Barcelona superstar Lionel Messi against Iran in the 2014 FIFA World Cup in Brazil, Iranian head coach Carlos Queiroz claimed Lionel Messi should be banned until he gets a clean chit from FIFA that he is human. Queiroz said that Messi is out of this world and If Messi was human, he wouldn't have had that magical moment in that match. 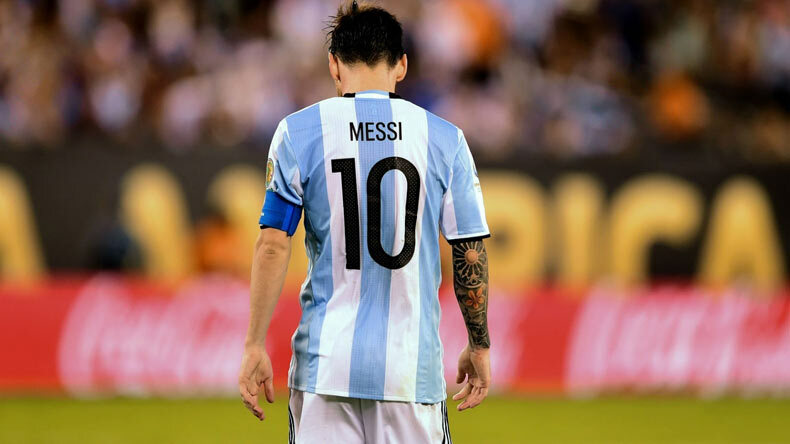 While singing praises for FC Barcelona superstar and one of the best to play the beautiful game in the modern era, Iran boss Carlos Queiroz claimed Lionel Messi should be banned until he gets a clean chit from FIFA that he is human. Messi, who is currently levelled with his Clasico rival Cristiano Ronaldo in terms of winning the highest individual honour in world football, is unsurprisingly showing no signs of stopping this season. The Little Magician from Argentina has been in explosive form for both club and country. Though Lionel Messi’s brilliance and sheer determination, FC Barcelona are on top of Spanish League La Liga and national team Argentina successfully qualified for the upcoming FIFA World Cup. The five-time Ballon d’Or winner played a pivotal role in El Clasico which gave Barcelona supremacy over Real Madrid in the Spanish league. Messi netted a stunning hat-trick against Ecuador during Argentina’s final fixture in the FIFA World Cup qualifier. Coming back to Iran national team coach, Carlos Queiroz hailed the Little Magician who he believes is out of this world. ALSO READ: Does Manchester United really regret Alexis Sanchez swap from Arsenal? Queiroz’s side almost earned a well-fought draw against Argentina in the 2014 FIFA World Cup before Messi took centre stage and scored the injury time decider. “I’ve always said that Messi is an extraordinary player,” Queiroz was quoted as saying by FIFA.com. “He’s out of this world. If he were human, he wouldn’t have had that magical moment in that match,” he added. Queiroz believes that the heroics against Iran came from a player who should not be allowed to play football until it’s proven that he is human. “And it’s even more of a special moment when it comes from a player who shouldn’t be allowed to play by FIFA until it’s proven that he’s actually human!,” he added.